Unfortunately, even the largest-screen, high-definition TVs can have disappointing audio when you position them in the home, on a wall, or in a cabinet. Consider adding depth and decibels with a simple, relatively inexpensive sound bar. 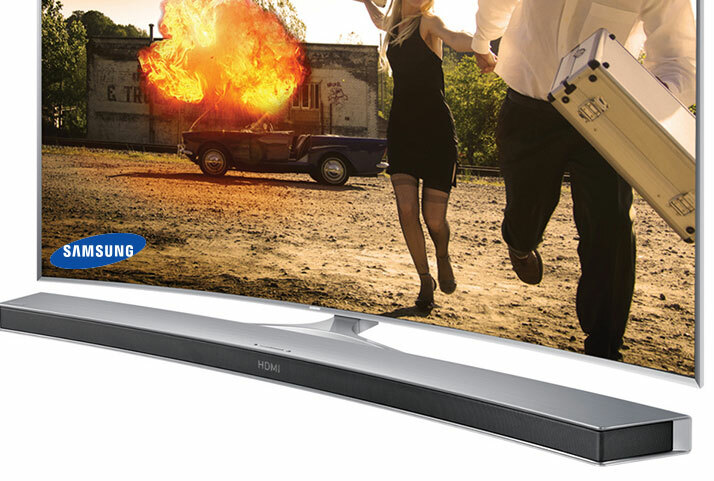 Sound bars are a clever and cool way to improve and enhance the audio on your television set. These devices are often slim, and fit conveniently under your TV on the wall, or in front of the set on a cabinet or entertainment center. These devices do a great job of amplifying the sound and most offer additional features such as simulated or true surround sound, bluetooth capabilities, subwoofers, and USB compatibility. Is this the same as surround sound? A lot of shoppers may confuse a sound bar with surround sound, but they are not one and the same. Many sound bars that offer "simulated surround sound", and while these still enhance the audio, the quality is very different from true surround sound which you could expect to pay several hundred dollars for. Which sound bar is best? Obviously, the answer to this question lies in the buyer's personal preferences, type of TV owned, and the shopping budget. It is possible to find sound bars with wireless subwoofers, for more sound depth and definition, for around $300. The best sound bar is going to be one that is compatible with your TV and that offers the features and sound clarity that you are looking for. When shopping for a sound bar, it makes sense to explore products that are offered by the manufacturer of your television, but don't feel restricted to only those options. Take a couple pictures of your TV set, and the screen and bezel measurements, and use these when you shop for your sound bar to find a size and style that is aesthetically pleasing and congruent with your set. Talk with electronic retailers about product features, compatibility, and price to find the best sound bar to augment your television set.